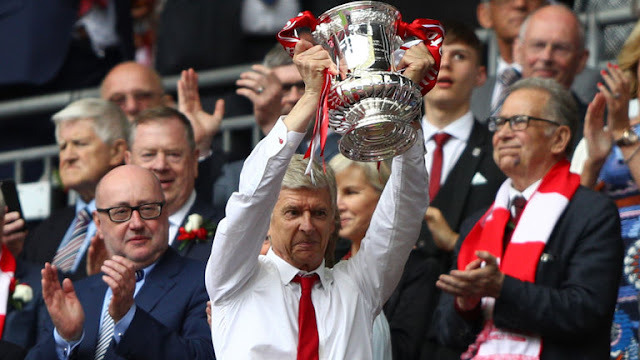 Arsene Wenger says Saturday's FA Cup final win over Chelsea proves that he is worthy of a new contract at Arsenal. 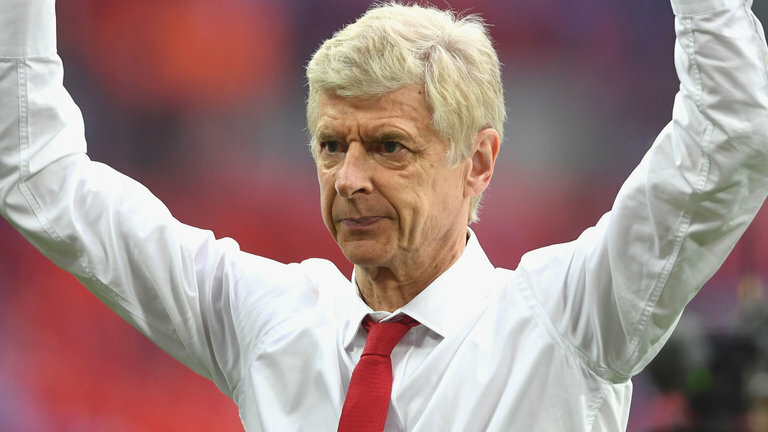 Wenger has come in for criticism from a number of Arsenal fans this season after the club failed to reach the Champions League for the first time in 19 years - and his current deal expires next month. 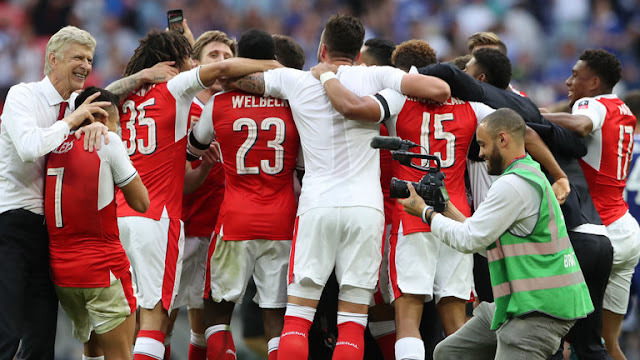 But the Gunners ended their season on a high with a 2-1 win over the Premier League champions at Wembley. And Wenger revealed after the game that the Arsenal board will hold a meeting on Tuesday, with his future expected to be decided then. Asked if he would be preparing a presentation ahead of the meeting, Wenger said: "The best presentation is to watch the game (against Chelsea). "I've played until the end of my contract, which is today basically. I think I have shown you that I have exactly the same commitment. "For me, the contract does not have special meaning but, because of the debate, maybe I should have sorted that out earlier." And Wenger says he drilled into his players that succeeding against Chelsea was more important than what his own future holds. "I just told them to focus on what is important, our future, the future of the club, whether I stay or not," he added. "The players play for their future, for their next season. "I love my job and I love to win. I love to build, I love to get people going and I love what I do. "I invite you to live with me one day and one thing you cannot question is my commitment." Wenger criticised those fans who had called for his exit during matches in the latter part of the season, but said he does not have to hold it against them in the long run. "I am a forgiving man," he said. "You cannot be in this job (if you are not forgiving). "This job is basically trusting human beings. If you cannot forgive, you cannot trust. "The only bit of advice I have for young coaches - if you have a tendency to be paranoid, don't do this job. "I meet many Arsenal fans who are absolutely fantastic. It was maybe one per cent. Ninety-nine per cent of our fans are absolutely fantastic. We play for the 99.9 per cent. "That's why I said it's not about popularity, it's about consequence. "It's the board who has to decide who will lead the club in the future. It's for me afterwards to decide, if they want me, whether it's yes or no."